Solitaire has been recorded by Tony Bennett and Dean Martin. 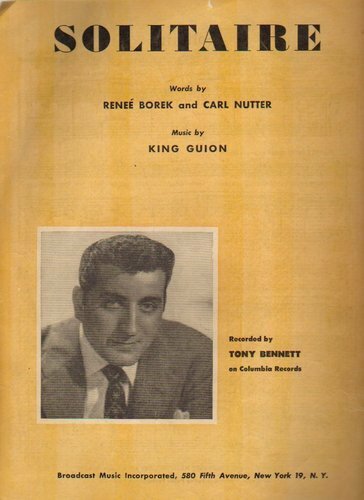 “Solitaire” was recorded on July 17, 1951 and was released in September of that same year. The song was arranged by Percy Faith.